LONDON (Reuters) – According to Saudi Energy Minister Khalid al-Falih, no one has any idea how much oil Iran will be able to export after new U.S. sanctions against the Islamic Republic kick in on Nov. 4. But more precisely, Iran’s shipment figures – crucial to oil markets – are already a mystery. Iran’s oil exports are becoming harder to measure as ships switch off tracking systems, oil industry sources say, adding uncertainty over how far U.S. sanctions are scaring off buyers. The prospect of more oil heading into storage could make number-crunching even tougher. Before Trump’s May announcement of the sanctions, Iranian exports were above 2.5 million bpd. Falih acknowledged the challenge in an interview with Russia’s TASS news agency published on Oct. 22. “Nobody has a clue what Iranian exports will be,” he said. Oil prices have extended a rally on expectations the sanctions will test OPEC and other producers. Brent crude () on Oct. 3 reached $86.74 a barrel, the highest since 2014, although it has since eased to $77. “A large set of numbers estimating Iranian October first-half exports have been thrown to the market these last few days, ranging for 1 million bpd to 2.2 million bpd, which is a massive spread,” Kpler, a data intelligence company, said. Neither Iran’s National Iranian Oil Co nor National Iranian Tanker Co responded to an emailed request for comment. “Concretely, we are able to confirm loadings of vessels having shut down AIS transponders by other means such as satellite imagery or by tracking Iranian-flagged tugs, which has proven especially valuable given the lack of AIS coverage throughout much of the Gulf,” Kpler said. Iran was believed by oil trading and shipping sources in 2012 to be hiding the destination of its oil sales by strategically switching off vessels’ tracking systems. “Iranian oil exports cannot be stopped,” Tasnim news agency quoted Oil Minister Bijan Zanganeh as saying on Oct. 23. China intends to cut purchases in November [nL3N1X43QE]. 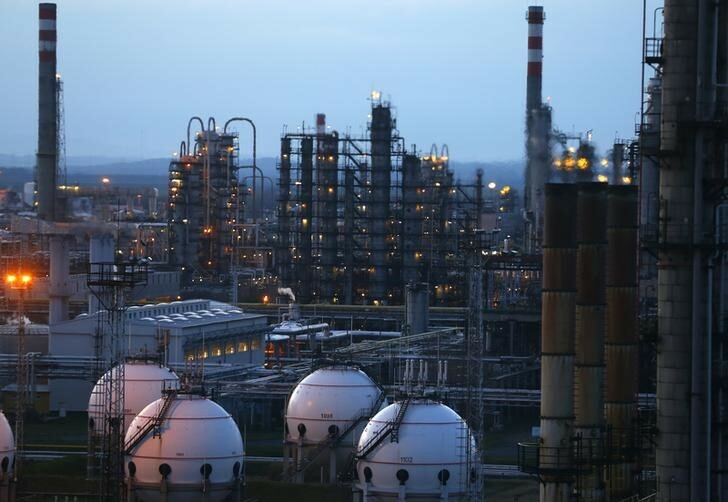 But Iran is undeterred, planning to send buyers such as India and China oil for storage rather than consumption, making it harder to measure how much oil is reaching the market, sources say. Analysts, in assessing a producer’s supply of oil to the market, generally do not take into account crude moved into storage. While Washington has said it wants to cut Iran’s oil exports to zero, Iran and Saudi Arabia say that is unlikely. The Trump administration is considering waivers on sanctions for countries that are reducing their imports. Iran says waivers will be granted allowing shipments to continue at a lower level, as it contends that Saudi Arabia and other producers cannot fully replace Iran’s crude exports. “Waivers are expected, as Saudi Arabia and Russia cannot do it,” the source familiar with Iranian thinking said.